NOTE: This is the third installment in a series introducing the AHSAA Sports Hall of Fame Class of 2015. Look for football coach Doug Goodwin’s profile Thursday. Tickets for the 25th AHSAA HOF Banquet set for March 23 at the Montgomery Renaissance Hotel and Convention Center are still available to the public by calling 334-263-6994 by March 16. Tickets will not be sold at the door and mail order ticket deadline has passed. A native of Anniston, Harold Jackson “Jack” Doss Jr., graduated from Oxford High School in 1965. After serving in the U.S. Air Force he played basketball at Gadsden State Community College, then earned his bachelor’s and master’s degrees from Jacksonville State University. His teaching and coaching career began at Hayes High School. It was at Hayes that he launched a career that would be nothing short of spectacular – a state-record eight AHSAA state basketball championships with this year’s Class 5A state title won by his current team J.O. Johnson. Doss, a member of the AHSAA Sports Hall of Fame’s Class of 2015 to be inducted March 23, also is one of only two coaches to win boys’ state titles at three different schools. He also won state championships at Hayes of Birmingham and Butler of Huntsville and had back-to-back titles three different times. His teams at Hayes, S. R. Butler and J. O. Johnson combined to compile a 749-320 record under his tutelage. In his only two years at Hayes, he won his first two championships. They were consecutive Class 4A titles in 1980-81 and 1981-82. Those two teams had a combined record of 58-9. Doss became the only coach in state history to win championships in his first two years of coaching. From Hayes he went to Florida for two years, and then returned to his home state to accept the head basketball coach position at S.R. Butler in Huntsville. Although his tenure at Butler did not enjoy as spectacular a start as it did at Hayes, he was quickly a basketball presence in North Alabama. Within a few years he had a team in the state tournament, then one in the semifinals finishing the 1990-91 season with a 31-4 record. The 2003-04 and 2004-05 seasons saw back-to-back Class 5A state championships. There was a repeat performance in 2007-08 and 2008-09. His fifth championship at Butler and seventh overall came in 2010-11. In 2013-14 he moved to J. O. Johnson High School. The Jaguars finished 32-4 in 2015 with a 59-52 win over Ramsay in the state finals at the BJCC. His seven championship teams included 16 all-tournament selections, six of them the tournament’s Most Valuable Player. -- Madison County Athletic Hall of Fame, 2007. -- The Birmingham News Coach of the Year seven times. -- North Alabama team coach in the state all-star game, winning both years. -- Alabama All-Stars coach against the Mississippi All Stars, winning both games. --Produced more than 30 Division I scholarship players. Included the all-star games, he has coached four NBA players – Charles Barkley, Buck Johnson, Eric Bledsoe and Ennis Whatley. Butler’s basketball character development strategies were showcased on CBS sports. Speaking to that character Butler Principal Chad LaQua wrote: “Jack displays extraordinary leadership…as a teacher, coach and mentor to our student-athletes. Jack displays positive leadership on the court, but his character can be easily defined by how students respect his teaching in the classroom of life. Jack teaches students lifelong lessons. He leads by example, and often refers to himself as the ‘sweeper’ or someone who is there to support everyone else. Jack’s players are highly recruited and continue to play college basketball at the Division I level. “Most importantly, Jack gives the students in our Butler community hope. He was instrumental in the team effort to reopen Butler High School. During his tenure with us at Butler High School, Jack has worked with students in a diverse range of responsibilities that include tutoring, teaching, and mentoring. He also brought new ideas that helped raise the culture achievement at Butler High School. Jack is truly is a statesman for AHSAA basketball…He is always looking to improve his own coaching style and the technique of the students. NOTE: This is the second in a series introducing the AHSAA Sports Hall of Fame Class of 2015. Look for basketball legend Jack Doss’ profile Wednesday. Tickets for the 25th AHSAA HOF Banquet set for March 23 at the Montgomery Renaissance Hotel and Convention Center are still available to the public by calling 334-263-6994 by March 16. No tickets will be sold at the door and mail order ticket deadline has passed. 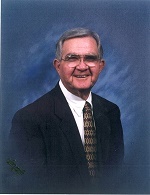 A native of Coffee County, James Donald Chesteen graduated from Brantley High School in 1946 and from Troy University in 1951. He died on Dec. 19, 2014, just a few weeks after learning that he had been inducted into the Hall of Fame. His son Donnie said J.D. knew early in high school that he wanted to be a football coach. The only way that could happen was to lay the groundwork in the military. He served two years in the U.S. Air Force, rising to the rank of staff sergeant, and then was able to enroll at Troy where he played football and earned his bachelor’s degree. His teaching and coaching career began in 1951 as an assistant coach at Samson High School. He stayed three two years and then took his first head coach job at Coffee Springs High School. When they beat Cottonwood 7-6 in the fourth game of the seasons it was the revived Coffee Springs football program’s first win since before World War II. In 1954 he returned to Samson, this time as head coach. After a 4-5-1 start he led Samson to four consecutive winning seasons. It was the days before the state playoff system and a number of towns held high school bowl games. Coach Chesteen’s teams appeared in the Lions Bowl and the Peanut Bowl. His five-year record was 19-18-4. In 1960 he moved to Geneva County High School at Hartford. Again there was a slow start with his first team going 3-7. Then it was 26 wins and two more bowl appearances over the next three years. The 1962 squad finished with a school record 10 wins after beating Rehobeth 3-0 in Dothan’s Peanut Bowl game. It was the school’s first undefeated season since 1926. The following year Geneva County finished 9-0-1 with another Peanut Bowl victory. They were named Class 2A state champs by The Birmingham News. Coach Chesteen retired from coaching in 1969 but remained a teacher until 1989. --Elected into Wiregrass Sports Hall of Fame in 1994. 9-0-1 season in 1963. By then we had over 60 players on the team. Following the 1962 season he coached the 1963 AHSAA All-Star Game in Tuscaloosa and I was fortunate to be on that team. “Turning around the football program at Hartford doesn’t come close to telling the story of J.D. Chesteen as a man of character, commitment, and community service. He completely changed the attitude of the whole town. His enthusiasm got everyone involved and the school became a source of town pride. MONTGOMERY – Twelve major contributors to prep athletics in Alabama will be inducted into the 25th class of the Alabama High School Sports Hall of Fame March 23. The 2015 class, which includes coaches, administrators, officials, media and an “oldtimer,” will be inducted at a special Silver Anniversary banquet commemorating all 25 years of the event. The banquet will be at the Renaissance Hotel at the Convention Center in Montgomery. The public is invited to attend the banquet. The deadline for ordering tickets by mail was March 2, but anyone still wishing to purchase tickets ($40.00 each) has until March 16 to order tickets by phone at 334-263-6994. Selected were tennis coach Nancy Becker, basketball coaches Steve Jefferson, Jack Doss and Bobby Wright, football coaches Steve Rivers, Doug Goodwin and John Tatum, athletic director Myra Miles, track official Houston Young, and administrators Alan Mitchell and Ron Ingram. Selected in the “Old Timer” category was longtime Geneva County football coach James D. Chesteen. Beginning today, a series featuring the inductees written by state sports historian Bill Plott will begin at www.ahsaa.com. Today’s Class of 2015 Spotlight is Nancy Becker, Vestavia Hills High School girls’ tennis coach for more than two decades. Be sure to check the website daily for each installment. Sponsors of the Hall of Fame program are the Alabama High School Athletic Directors & Coaches Association (AHSADCA) and the AHSAA. The corporate sponsors are Cadence Bank, Coca-Cola, EBSCO Media, Encore Rehabilitation, Farmers Insurance, Russell Athletic, TeamIP and Wilson Sporting Goods. A native of Gadsden, Nancy Backer graduated from Gadsden High School in 1957 and Auburn University in 1961. The 2015 AHSAA Hall of Fame inductee holds a master’s degree in business education from the University of Alabama-Birmingham. Her teaching career spans 40 years, most of it in her native state of Alabama. Upon graduation from Auburn, she went to Jacksonville, FL where she taught business for three years. 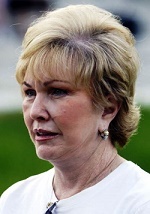 In 1965, she accepted a similar position at John Carroll High School in Birmingham. In 1984, she moved to Vestavia Hills High School as a business education teacher and girls’ varsity tennis coach, a position she held for 23 years. From 1987 until she retired in 2010, Coach Becker compiled a spectacular girls’ tennis coaching record. During her 23-year tenure, her teams finished in the top four every year. They won 10 AHSAA state championships including strings of three and four in a row (1989, 1991-93, 1998-99, 2007-10). They finished second eight times (1998, 1990, 1994, 2001-05). There were also four third-place finishes. They won 20 sectional championships. She was twice (2008 and 2010) named the National Federation of High Schools Coach of the Year. In 2013 she came out of retirement to assist that team which also won a state championship. She was recognized by The Birmingham News when her team presented her with her 200th coaching win. She was named state coach of the year in 2008 and received a 2011 Outstanding High School Teacher/Coach award from the Kiwanis Club of Birmingham. “If you talk to Nancy Becker today, you are likely to hear stories about her weekly tap dancing class or her latest visit to the theater. Even after many, many years of teaching and coaching, Nancy Becker forgot to grow old. She is the only coach to show up in tights at a faculty Christmas breakfast and the only coach to cajole her teaching department to perform a song from A Chorus Line at the faculty talent show. Her involvement in the school community extends much further into the fabric of the school than coaching. She is a model coach and a model teacher. “Nancy is not only a coach to her players. Her guidance as a mentor, friend, and leader has had an impact on hundreds of high school tennis players. Nancy expected the best from her players. While under her coaching, it did not matter whether a player was in the top six playing players or were further down the roster. Nancy expected each player to bring her best and to be a committed member of the team. “Nancy was diligent about finding a player’s strengths both on and off the court. She expected her students to not only make a commitment to the team but also to their academic standards. Her high expectations resulted in the girls’ tennis team consistently holding some of the highest GPAs at Vestavia Hills High School. “As a coach, Nancy was committed to good sportsmanship. Her players knew that if they exhibited a bad attitude on or off the court, they would be removed from competition. She expected that all players support each other by encouraging support and praise both on and off the court. “Nancy has stayed involved in the tennis program even after her retirement from coaching. She has assisted the coaches that have followed her legacy by supporting them during competition and mentoring them through leading their own teams. Her help and support contributed to VHHS winning the 2013 6A state title. She has also earned a number of personal awards in tennis. She was a member of the committee that founded the Birmingham Ladies Inter-Club Tennis League and was on the championship team in 1975. She was tennis chairman for the Mountain Brook Swim and Tennis Club in 1975. In 1976 she was the mixed doubles champion at the Country Club of Birmingham. She won district, state and the Southern Equitable Family Tennis Challenge, enabling her to play doubles in the Nationals Finals of the U.S. Open Tennis Championship at Flushing Meadows, N.Y. in 1979. Her additional community service has included serving on the boards of both the Charity League and the Civiettes for a number of years. Six teams have been selected for the 10th annual AHSAA Champions Challenge Football Classic Aug. 21-22 at Montgomery’s Cramton Bowl. Two defending champions, Class 4A Leeds and Class 3A Madison Academy, will kick off the Champions Challenge on Friday night, Aug. 21, in the first of three games, according to Alvin Briggs, Director of the Alabama High School Athletic Directors & Coaches Association (AHSADCA), which hosts the event each year. The two remaining games are scheduled Saturday, Aug. 22, beginning at 5 p.m. with 2014 Class 3A semifinalists Gordo versus Glencoe and Class 6A Carver-Montgomery squaring off against Class 7A Bob Jones at 7:30 p.m.
Schools still have a choice whether to count a week one contest as a regular-season or exhibition contest. The Leeds-Madison Academy game will be a regular season game while the other two will be considered exhibition games, Briggs said, and will not count on either team’s record. Madison Academy (14-1) and Leeds (14-1) met in the 2013 Class 3A state finals with the Mustangs winning the state title. The two teams then agreed to meet in the season opener last season with the Green Wave winning 27-24 to snap a 25-game winning streak for Coach Eric Cohu’s Mustangs. Madison Academy rebounded to win its next 14 games including a 70-34 victory over Dale County at Auburn’s Jordan-Hare Stadium to win its third straight Class 3A state championship. Coach Keith Etheredge’s Green Wave won 13 of their next 14 games to capture the Class 4A, Region 3 title and then beat Deshler 30-0 in the state finals to claim the Class 4A state championship. Glencoe (13-1) and Gordo (13-1) were unbeaten heading into the Class 3A semifinals and both lost heartbreakers to end their seasons. Coach Lee Ozmint’s Yellow Jackets fell 31-28 when Madison Academy kicked a field goal to beat Glencoe. Gordo lost 32-28 to Dale County in the other semifinal with the Warriors completing a touchdown pass on the final play of the game to nip Coach Ryan Lolley’s Green Wave. Carver (9-3) won the Class 6A Region 2 title. Coach Billy Gresham’s Wolverines averaged 33.2 points a game, advanced to the second round of the state playoffs before falling to Hillcrest-Tuscaloosa 35-14. Bob Jones (8-3), coached by Kevin Rose, and reached the first 7A playoffs qualifying second in Region 8. The Patriots, averaging 37.7 points per game, lost to Tuscaloosa County 28-21 in the first round. In last year’s Champions Challenge, Opelika edged Carver-Montgomery 20-16, Dadeville nipped Piedmont 14-8 and Spanish Fort beat Stanhope Elmore 42-14. Twenty-four seniors have been selected to represent Alabama in the 25nd annual Alabama-Mississippi All-Star Basketball Games at Alabama State University’s Dunn-Oliver Acadome March 20. The Alabama teams, comprised of 12 senior boys and 12 senior girls, were announced Thursday by Alvin Briggs, Director of the Alabama High School Athletic Directors & Coaches Association (AHSADCA). The girls’ game will tip off at 5 p.m. and the boys’ game will follow at 7. The games were played in Mississippi for the first time since 2002 last year, but return to Alabama this year. The games rotated between the two states from 1991-2002 but moved to Pelham Convention Center in 2003 where they remained through 2011. Alabama State hosted the games at Dunn-Oliver Acadome in 2012 and 2013. Alabama won the boys’ game last year 90-83 with Mississippi winning the girls’ game 95-89. The Alabama boys now hold a 13-11 edge in the series while the girls’ series is even at 12-12. Coaches for the Alabama girls’ squad are Donnie Roberts of Red Bay and LaKenya Knight of Jeff Davis. Roberts, 64, is the state’s all-leading career wins leader for girls’ basketball with an 835-347 slate over 42 seasons. He directed Red Bay (25-9) to the Class 2A state championship in 2015 and was 2A runner-up in 2014. Knight, 41, coached Jeff Davis (31-4) to the AHSAA’s first Class 7A state title this season. She has compiled a 219-66 record in 12 seasons. Brenda Mayes of Muscle Shoals is the administrative coach. Coaches for Alabama’s boys are Hoover High School’s Charles Burkett and Obadiah Threadgill IV of Lafayette. Burkett directed the Bucs (27-9) to the Class 7A state championship winning 50-43 in the finals to beat two-time state champion Mountain Brook. Threadgill, 78-36 in four seasons, directed LaFayette (25-5) to the Class 2A state championship with a 69-39 win over defending champion Elba in the finals. He is the son of Notasulga coaching legend Obadiah Threadgill III. Burkett’s career record was unavailable. Jamie Lee of Decatur is the administrative coach. Headlining the Alabama girls’ squad are four girls who played in the Class 7A State Tournament. Ta’Naisha Hill and Shaquera Wade represented Huntsville (32-4), Chloe Long and Rayven Pearson played for Hazel Green (29-6) in the semifinals. Wade, averaged 18.7 points and 10.7 rebounds, is heading to Alabama, Hill to Tennessee-Martin, Long and Pearson to Jacksonville State. Hill averaged 15.7 points as a senior, Long, 12.0 and Pearson, 16.0. Also named to the girls’ squad is Brantley 6-foot forward Amahni Upshaw, a three-time Class 1A All-State tournament selection. Upshaw, who averaged 10.1 points and 11.9 rebounds, was Class 1A state tournament MVP in 2014. She will play collegiately at Troy University. Highlighting the Alabama boys is 2015 Class 6A state-tournament MVP Brandon Austin of state champion Carver-Montgomery. The 6-foot-5 forward and Alabama recruit averaged 18 points as a senior. He will be joined by fellow Alabama signees Donta’ Hall of Luverne and Dazon Ingram of Theodore. The 6-fpo10 Hall led the Tigers to the 2A state finals in 2014 while Ingram, a 6-5 guard, averaged 20.8 points and 10.9 rebounds per game in sparking Theodore (28-5) to its first Class 7A state basketball tournament trip to the BJCC in 2015. Lee-Montgomery’s 6-9 duo, Tommy Burton and Trenton Clayton, will join Hall on the post along with 6-7 forward Gerron Scissum of Lee-Huntsville. Scissum averaged 16.4 points while helping Lee reach the 6A state finals while Burton and Clayton, who averaged 16.4 and 10.3 ppg, respectively, led Montgomery-Lee to a 29-4 record and Class 7A state tournament berth. Scissum and Burton are currently undecided about their college plans while Clayton is heading to Southeastern Louisiana. Guard Lawson Schaffer of Cullman, who sank 17-of-17 free throws in a 71-68 overtime win over Athens in the Northwest Regional semifinals, comes in as one of the state’s most accurate free-throw shooters in AHSAA history. Homewood guard Malik Cook-Stroup, who averaged 16.9 ppg in leading Homewood to the Class 6A state tournament, will join Schaffer in the backcourt. Several of the all-stars are still undecided about their college choice. The Bryant-Jordan Student-Athlete Program’s 104 regional winners have been announced by Bryant-Jordan Director Shelton Thompson for 2015. A total of 52 seniors, eight each from the AHSAA Classes 1A through 6A and four in Class 7A, were selected as Scholar-Athlete regional winners and 52 were chosen in the Student- Achievement division. Each student selected was nominated by their respective high schools. For the first time since 1988, the total number has expanded from the previous 96 total. Eight additional student-athletes will be recognized due to the addition of Class 7A, which has 32 total schools, by the AHSAA this school year. Approximately 60-64 schools comprise each of the other six classifications. A committee of school principals chose the area winners. A committee of school administrators in each region then selected the regional winners. The overall winners will be selected by a statewide committee comprised of school administrators and state business leaders. All 104 will be recognized at the 2015 Bryant-Jordan Banquet set for Birmingham’s Sheraton Hotel Ballroom April 13. Each regional winner will receive a $2,500 scholarship with class winners receiving an additional $3,000 scholarship. The overall Larry D. Striplin, Jr. Scholar-Athlete and the overall Ken and Betty Joy Blankenship Achievement Award state winners will receive an additional $3,000 each. Regional winners are also eligible to receive several other scholarships that will be awarded by 13 Alabama four-year colleges and 13 Alabama community colleges participating in the program. The 13 colleges participating include: Auburn University, Auburn-Montgomery, Jacksonville State, Miles College, Samford, Troy University, University of Alabama, University of Alabama-Birmingham, University of Alabama-Huntsville, Montevallo, North Alabama, South Alabama and West Alabama. Several special scholarships are also presented annually including the Dr. Gaylon McCollough Medical Scholarship ($2,500) earmarked for a selected regional winner who plans to go into the medical field, and the Herman “Bubba” Scott Coach’s Scholarship ($2,500) given to a selected regional winner who plans to go into teaching and coaching. The Auburn Football Lettermen and the University of Alabama “A” Club Educational and Charitable Foundation also present scholarships to selected regional winners who plan to attend either Auburn or Alabama, respectively. The Auburn Lettermen present two $2,500 scholarships while the Alabama “A” Club presents scholarships totaling $12,000. In addition, each school that has an individual classification winner will receive a $2,000 cash award. Approximately $1 million in scholarships are awarded annually in the nationally acclaimed program named for legendary football coaches Paul “Bear” Bryant and Ralph “Shug” Jordan. The program began in 1986 as a project of the Alabama Sports Hall of Fame and the AHSAA and is now in its 30th year. Hoover ended Mountain Brook’s dream of a three-peat Saturday night as the Bucs posted a 50-43 victory in the final game of the 93rd annual AHSAA State Basketball Tournament to claim the Class 7A boys state title. The Bucs (27-9) of Coach Charles Burkett clinched the school’s first-ever state boys basketball crown with as tenacious defensive effort and some timely free-throw shooting . Class 7A state tournament MVP Austin Cherry was 7-of-9 at the foul line and finished with 14 points and nine rebounds. Burkett’s defense limited Mountain Brook (27-8) to just 1-of-18 from the 3-point line and spoiled the Spartans’ run at a third straight big-school state title. Coach Bucky McMillan’s team won the 6A crown in 2013 and 2014 and advanced, like Hoover, the first 7A finals with a double-overtime semifinal win. Leonard Wood scored eight points and had five steals, Maurice Brown added seven points and nine rebounds and Sam Bowman had seven points for Hoover. Jack Kline led Mountain Brook with 15 points and seven rebounds in the finals. Terrell Guy also had 15 points going 4-for-4 at the foul line. The announced attendance for the final day of the 2015 state tourney was 15,940 and 60,716 for the week. Austin Cherry, Hoover (MVP); Dylan Smith, Hoover; Jack Kline, Mountain Brook; Terry Guy, Mountain Brook; Tommy Burton, Lee-Montgomery; Dazon Ingram, Theodore. Jeff Davis nipped McGill-Toolen 55-54 in the first AHSAA Class 7A girls basketball finals Saturday night at the BJCC Legacy Center to win the first Lady Vols state crown since 2006. Coach LaKenya Knight’s Vols (31-4) used their superior height to score 26 second-shot points in a battle where every made basket was needed. Class 7A state tournament MVP Jasmine Walker had 23 points on a 10-of-16 shooting performance and cleared nine rebounds. She also had four steals. Tia Horne added 10 points and 10 rebounds to help Jeff Davis finish with a 35-21 rebounding edge. Ahyiona Vason also had eight points and was 6-of-8 at the foul line. Pacing McGill-Toolen (31-5), coached by Carla Berry, were Lauren McKee and Shelby Hall with 13 points each. Shauntai Battle added 12 points and Ryann Sylvester had 10. Coach Carla Berry’s M Burnett led Lee (27-7), coached by Greg Brown, with 12 points and was perfect on both treys attempted. Gerron Scissum had 10 points and nine rebounds and Ashton Ray had 10 points. The state title was Jeff Davis’ third overall with the other title coming in 1978. McGill’s Coach Berry played on McGill-Toolen’s last state championship team (1988). Jasmine Walker, Jeff Davis (MVP); Tia Horne, Jeff Davis; Ryann Sylvester, McGill-Toolen; Shelby Hall, McGill-Toolen; Shaquera Wade, Huntsville; Rayven Pearson, Hazel Green. Carver-Montgomery out-scored Lee-Huntsville 28-17 in the fourth quarter to claim a 57-55 victory in the AHSAA Class 6A boys’ state basketball finals at the BJCC Legacy Arena Satruday. The Wolverines trailed by 10 when Lee’s Tracey Burnett sank a free throw 12 seconds into the final quarter. Carver (29-4) began clawing back, however, finally tying the game with four minutes left when Brandon Austin sank two free throws. The Wolverines took the lead for good a minute later when Lyndell Wilson sank two more. Austin made six more down the stretch, but it was a pair by Darian Adams with six seconds left that gave Carver a much-needed 57-52 cushion. Lee’s Malik Burnett drilled s 3-pointer with one second left to set the final 57-55 margin. Austin, named Class 6A state tourney MVP, had 20 points on the night with 8-of-10 coming at the foul line. He also had five steals and five rebounds. Antonio Nelson added 16 points for Coach James Jackson’s Wolverines and Adams had 10. Carver finished 24-of-32 at the foul line. The Generals were 12-of-18. Burnett led Lee (27-7), coached by Greg Brown, with 12 points and was perfect on both treys attempted. Gerron Scissum had 10 points and nine rebounds and Ashton Ray had 10 points. The state title was Carver’s fourth overall and the first since 2012. Brandon Austin, Carver-Montgomery (MVP); Joseph Strugg, Carver-Montgomery; Antonio Nelson, Carver-Montgomery; Gerron Scissum, Lee-Huntsville; Tracey Burnett, Lee-Huntsville; Malik Cook Stroupe, Homewood; Javien Williams, Woodlawn. Homewood (30-4) downed Blount 69-60 in the Class 6A finals to capture the school’s first AHSAA state girls championship Saturday at the BJCC Legacy Arena. Ajah Wayne scored 22 points and 11 rebounds to lead Coach JoVanka Ward’s Lady Patriots. Hannah Barber added 11 points, a tournament-high eight assists and cleared four rebounds. The two freshmen were named co-MVPs of the Class 6A state tournament. Tori Webb added 11 points, six rebounds and three blocked shots and Shelby Hardy cleared 10 rebounds. Blount (18-9), coached by Janel Williams, was paced by junior Cierra Johnson’s 24 points and freshman Daja Woodard’s Class 6A state-tournament record 22 rebounds. Woodard also scored 13 points and Johnson had 10 rebounds. Jermecya Harris added 10 points. Hannah Barber and Ajah Wayne, Homewood (co-MVPs); Tori Webb, Homewood; Cierra Johnson, Blount; Daja Woodard, Blount; Camryn London, Shades Valley.